UUSD Food Service Director Jim Stuart said, “The most important change is that we’ll get to feed more hungry students breakfast and lunch. However, we’re also happy that we won’t have to bear the administrative burden of tracking meal charges and dealing with bad debt.” Students will still be allowed to purchase individual a la carte items, but all students, regardless of their economic status, will be offered a full meal at no cost, so no one has to go to class hungry. 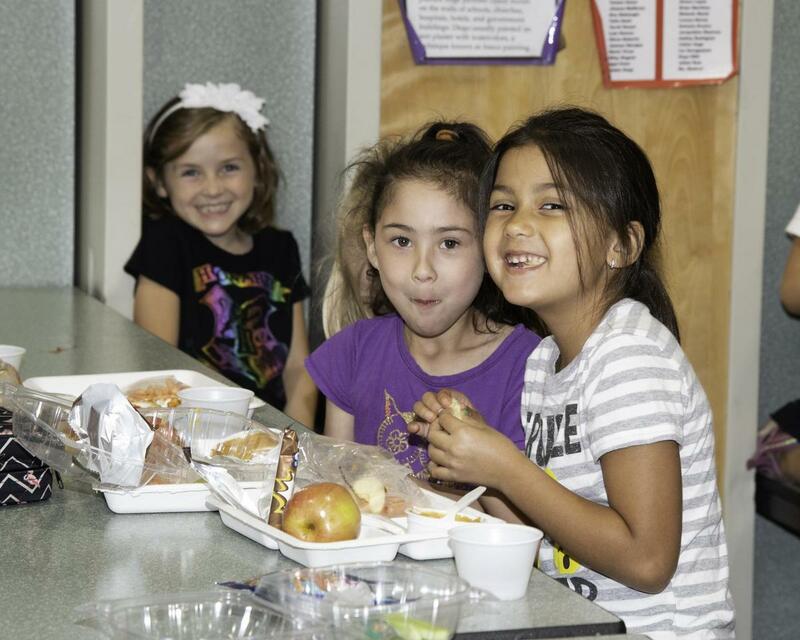 Last year, the State of California conducted a Universal Meal Service pilot program that resulted in 60,000 additional students becoming eligible for free school meals and $33 million in additional federal meal reimbursements to those school districts. The California Department of Education estimates that with the passing of Senate Bill 138, the statewide program will feed an additional 500,000 hungry students with increased federal funding. Part of the reason the SB 138 pilot was successful is because it uses a more effective method to identify low-income students by ensuring the use of verified Medi-Cal income data. A concurrent program called the Community Eligibility Provision lowers the application burden for families from once a year to once every four years, and it does not require the use of social security numbers. SB 138 provides maximum federal reimbursement for schools with poverty rates higher than 62.5 percent as certified through Medi-Cal, Temporary Assistance for Needy Families, Migrant Education Program, McKinney-Vento Homeless Education Assistance Improvement Act, and other means. UUSD has two schools that meet that requirement: Nokomis Elementary and Oak Manor Elementary. However, based on the Federal Reimbursement Estimator, if all UUSD sites operate a Universal Meal Service, UUSD can expect approximately $20,000 more in federal reimbursement in an average month, which is enough to cover the cost for all students at all schools to have access to free meals. “Thanks to Senator McGuire, we can afford to offer free meals to all students without a financial loss to our Food Service program. As long as we receive a completed Educational Benefit Form for each student, regardless of whether they participate in the meal service, we’ll be in good shape financially,” UUSD Chief Business Official Penny Lauseng explained. “We’re really excited to be able to provide free meals to all students. When kids have enough to eat, they do better—academically, socially and emotionally,” Lauseng said.